We use investigations of the genetic basis of phenotypic differences between species (or populations) to address fundamental questions about the nature of divergent evolution. Where does the raw material for local adaptation come from? Does genomic adaptation to one habitat necessarily involve tradeoffs in performance elsewhere? Does parallel phenotypic evolution reflect molecular convergence or re-sampling of standing variation? How does adaptive divergence contribute to the development of pre- and post-mating barriers between incipient species? 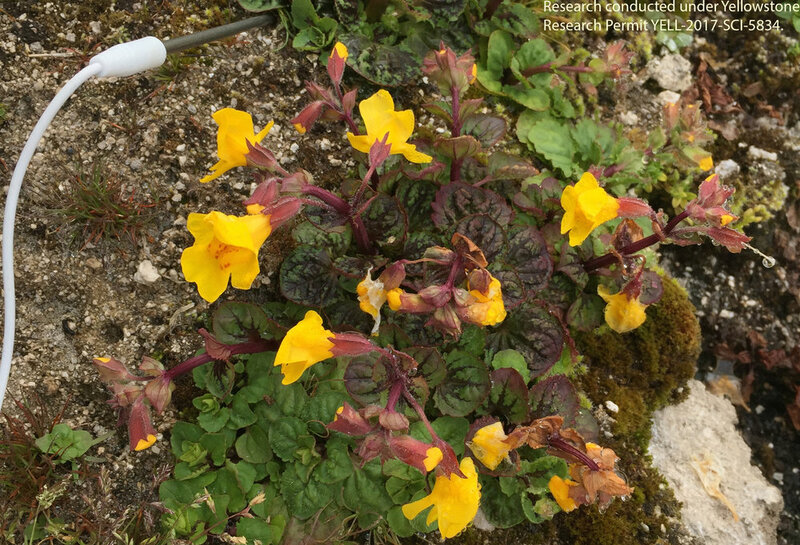 Mimulus guttatus is one of the few flowering plants to grow in the hot soils near thermal vents in Yellowstone National Park, and has adapted along multiple trait axes to take advantage of this challenging habitat (Lekberg et al. 2012). With NSF support, we are investigating the genomic basis of physiological, morphological and phenological adaptation to extreme environments (e.g., Hendrick et al. 2016), as well as the development of reproductive isolation in the absence of geographical barriers, in this unique system. Shifts in mating system and traits affecting pollination are among the most common evolutionary transitions in flowering plants. We use studies of floral evolution to test general theory about the genomic basis of adaptation and to investigate the role of pre-mating reproductive isolation in plant speciation (e.g. Fishman et al. 2002, Fishman and Willis 2008, Fishman et al. 2013, Fishman et al. 2015).